Undivided Back Vintage Postcard in Good, Posted in 1910 Condition. 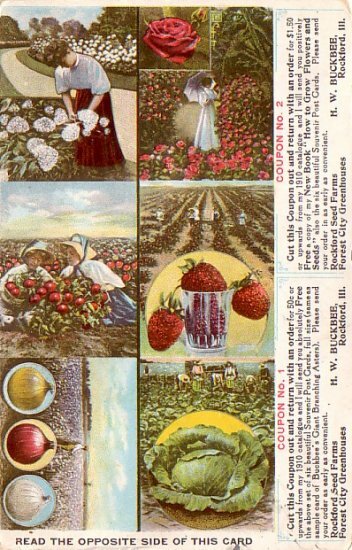 This advertising post card featured the variety of seeds by the H.W. Buckbee Company located in Rockford, Illinois. Card has two different coupons which offered free merchandise with order.